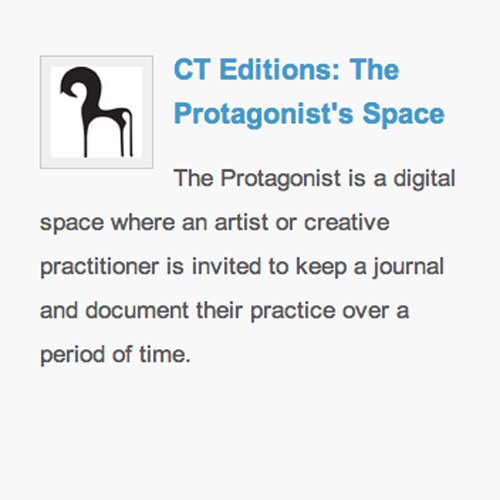 From 2/2011 to 2/2012 I was invited to document my practice for CT Edition’s blog The Protagonist. This period of time included numerous guest appearances on Let’s Paint TV; two residencies; The Do It All Dating Game at Nottingham Contemporary; my face to face encounter with Judy Chicago; the raffling off of unrealised art ideas; The O Show pilot episodes and much more. If I were a boiler, how many times a day would you turn me on?